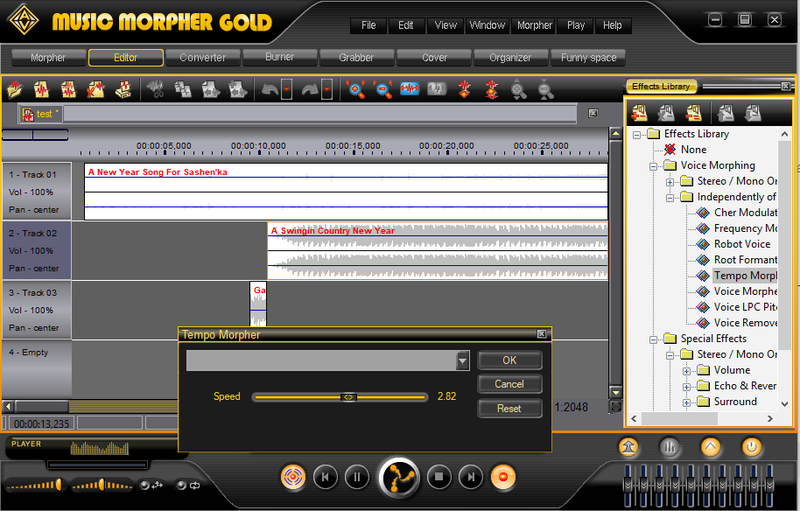 Music Morpher Gold is a software that can turn your humble computer into a DJ table within 1 second. In this tutorial, we will show you how to mix audio background effects, can be downloaded for free at Audio4fun Support Center and use within the software. - In the new Multiple Session Sample Rate, leave it as default 44100. 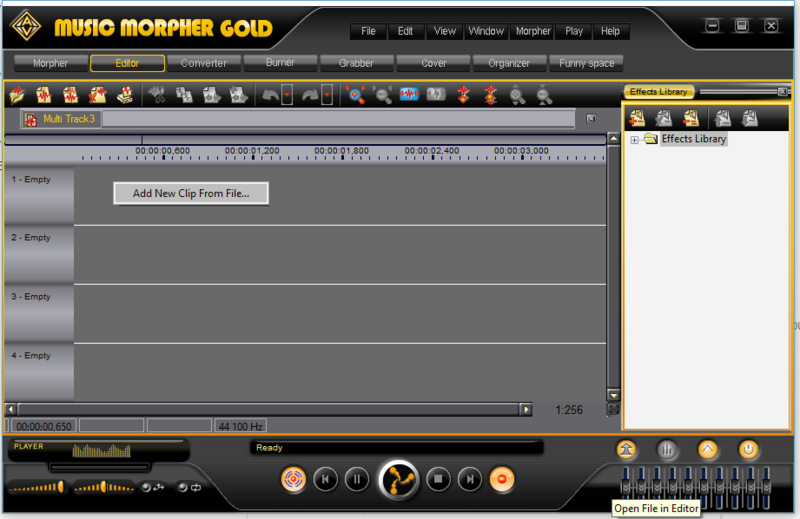 - Choose your main audio file and Open. 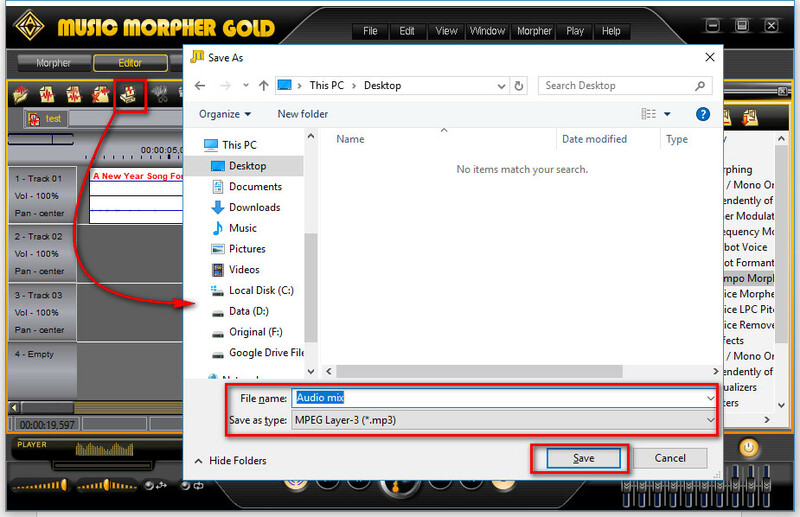 (To add background effects, right click on a track and do the same as your main audio file). The location where you right-click will be the beginning of the track. Use Ctrl + right-click to move the track along the line. 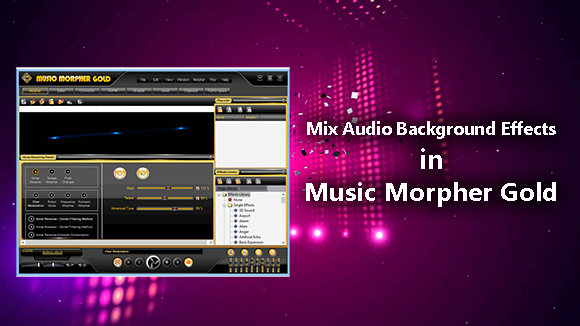 Use effects with MP3 format, you can download more sound packs, background sounds, vocal sounds from our Add-on Store. - Choose effects via the Effects Library box. - Each effect will have its own settings dialog box. - Select where you want to save the file. - Choose the format with Save as type. 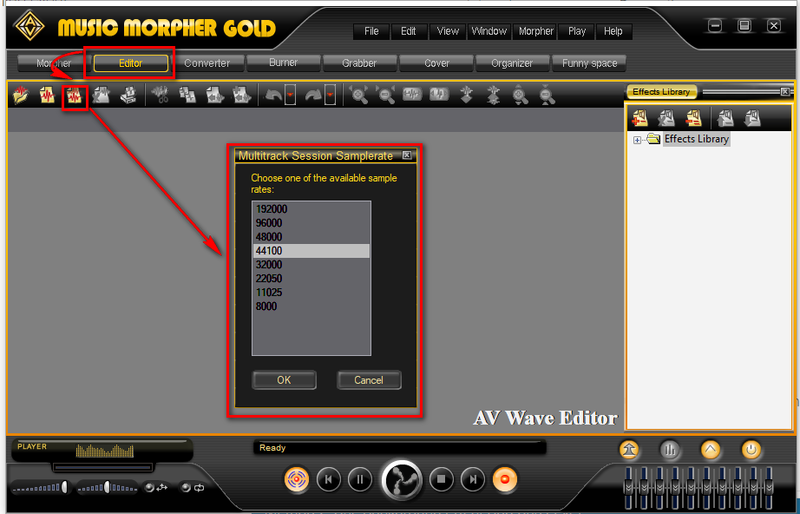 Save as MTX format will help you edit the project later. The MP3 format will be you final product. That's it. Your audio mix will be ready to rock your world.